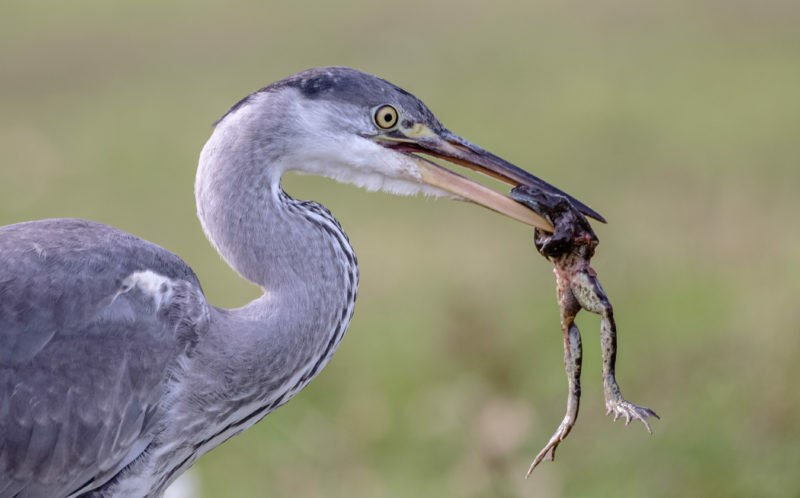 This is the dramatic moment a frightened frog desperately tried to stave off a hungry heron by clinging on to its beak. 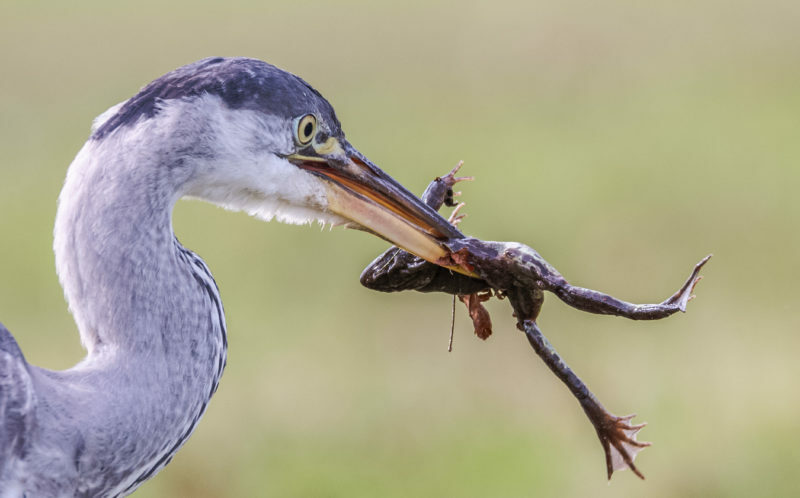 But the plucky amphibian’s gymnastic efforts were not enough to save its life, as the large seabird finally got the better of the battle and ate it up. 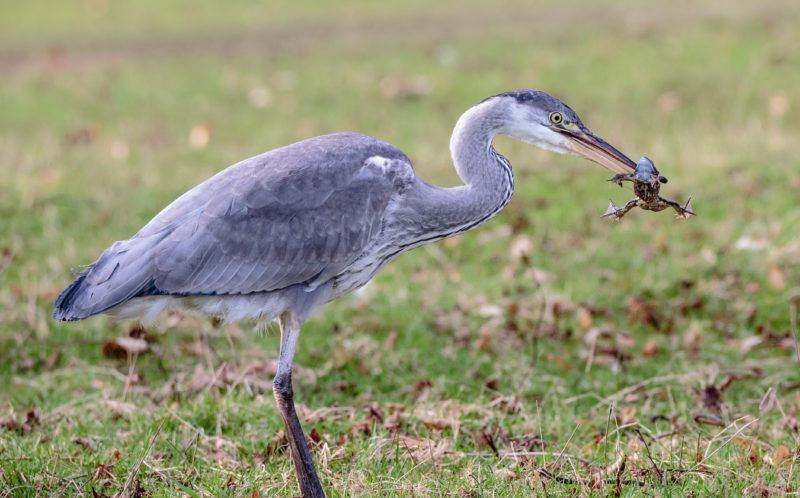 Amateur snapper Gary Mclean, 49, captured the pair locked in the tussle in Bushy Park, in Richmond-upon-Thames, south-west London, last Saturday (March 11). 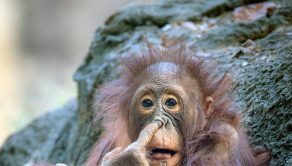 And he insisted the stunning shots were well worth the 66-mile journey from his home in Southampton, Hants. 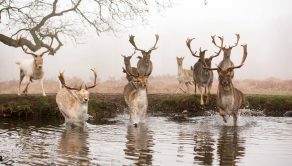 Gary said: “It’s not the first time that I have made the journey with a few friends from the Hampshire and Beyond photography group. 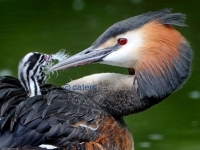 “We sat and waited around for quite a while and saw the heron looking intently at something. 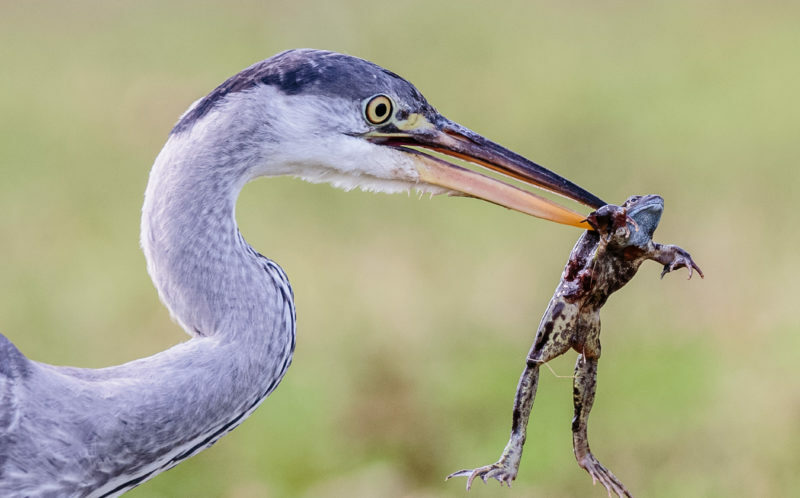 “As soon as I saw it, the first thing I saw was him clinging to the beak but by that point there is not a lot that the frog can do as he’s already doomed. 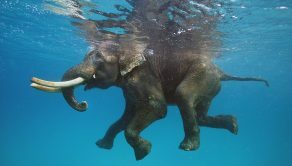 Gary, who used a Canon EOS 6D camera with a 150-600mm to take the shots, said his pictures had been a hit after he shared them online with photographer pals. 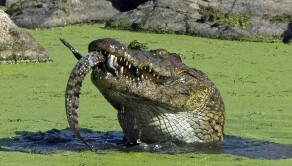 But he claimed some viewers of the pictures felt sympathy for the frog’s sticky end. 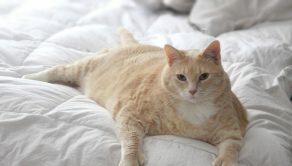 Gary added: “People have loved them and we have had them saying that they feel sorry for the frog but it is nature. 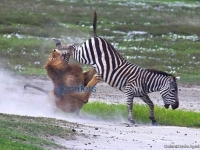 “This is what the circle of life is and it seems quite cruel but that is nature for you. “To capture a moment like this as a photographer is something special. 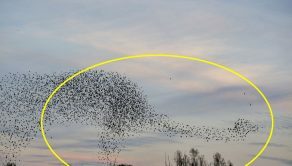 Dad captures moment murmuring starlings form perfect shot of dinosaur!